Women may be three times more likely to develop Crohn's disease if they have used oral contraceptive pills for five years or more, according to data from a Harvard University study. The increased risk of Crohn's was especially pronounced in women who already had genetic predispositions to chronic gastrointestinal disease. "The pill" is the most widely used form of contraception in the United States, and while it is highly effective in preventing unwanted pregnancies, it is not without adverse effects. This is important to consider given the wide public demand for access to oral contraception and wider coverage for it under the Affordable Care Act. Harvard University gastroenterologist Dr. Hamed Khalili and colleagues analyzed data from 232,452 American women with no prior history of ulcerative colitis (UC) or Crohn's disease (CD) and who were enrolled in the US Nurses Health Studies I and II from 1976 to 2008. They compared the gastrointestinal health of women who had used the pill for long periods of time with that of women who never used oral contraception. The researchers found 315 cases of CD and 392 cases of UC (confirmed by review of medical records). 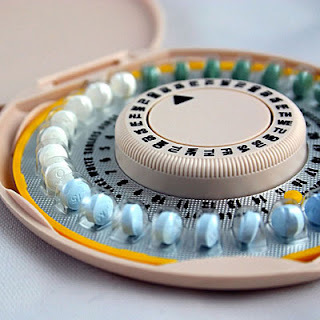 Compared with women who had never used oral contraceptives, current users had a 2.82 multivariate-adjusted hazard ratio for CD (95% CI 1.65 to 4.82). For past users of oral contraceptives the hazard ratio was 1.39 (95% CI 1.05 to 1.85). Reflecting on the strong association between use of oral contraceptives and CD, the authors note that, "After adjusting for known or potential risk factors for CD, including BMI, smoking, hormone use, age at menarche, menopause type and parity, these risk estimates did not materially change." The association between oral contraceptives and UC was weaker than the one observed with CD, and it differed according to smoking history, with smokers at higher risk. The authors stressed that age at menarche, age at first birth and parity were not associated with risk of UC or CD.